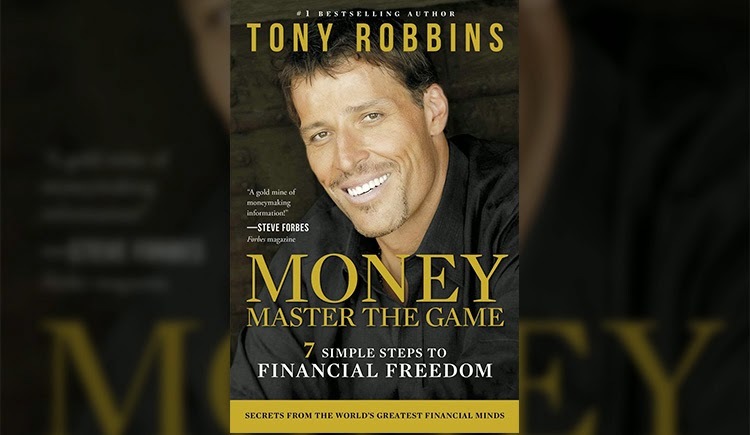 Invest Openly: Check Out This Inspiring Interview Before You Read Tony Robbins' Latest Book "MONEY - Master The Game"
Check Out This Inspiring Interview Before You Read Tony Robbins' Latest Book "MONEY - Master The Game"
I've been following Tony Robbins' books since "Awaken The Giant Within" (1992) and he is one of my favourite motivational gurus. If you have not already know, he has just released a new book called "MONEY - Master The Game. 7 Simple Steps To Financial Freedom", after 20 years of gap. Mind you, it is 600+ pages book, so expect to spend quite a fair bit of time to digest the points and follow through his 7 simple steps. Have you read the book? What is your review? Financial education is an easier way to make money by telling folks that there are easy ways to make money from money than trying to awaken the sleeping mind which is normally in deep sleep. LOL! Which sector in the market has the most BS thing? Personal finance and investment? No? i happen to be a great fan of Napolen Hill - Think and Grow Rich and also having read Tony books and attended similar NLP techniques courses, I beg to differ the two books or concepts are the same. In NLP, it focuses on behavioral changes to aid commnication with one another. In Thinking and Grow rich , it is more spiritual as it is about the subconscious mind that many of us are not awaken to. Yes, Createwealth888 is right about making easier money to give talks and seminars - the leverage factor is there. Tony has like 5000 to 20,000 pax attending his 3-5k USD conference and he do this worldwide , just add up , haha. I read somewhere the personal development industry is a 8 billion dollar industry , so no surprise our very own tuition market is already 1 billion worth. To me, when i share about think and grow rich, most sceptics would throw spanner at me and made remarks like - if money fall from trees just thinking, then no need to work? i am simple minded and i do think money can fall from tree but would the person be able to recognise his harvest if he sees it ? Desmond, thanks for dropping by and comment. Maybe I didn't put it clearly, when I try to compare MONEY with Think And Grow Rich, I am more looking at its potential popularity and benefits that it will give to the readers. Cost and benefit of education is very subjective, some might view that his course fee of 3-5 thousands is very very expensive but other might view it as money well spent.